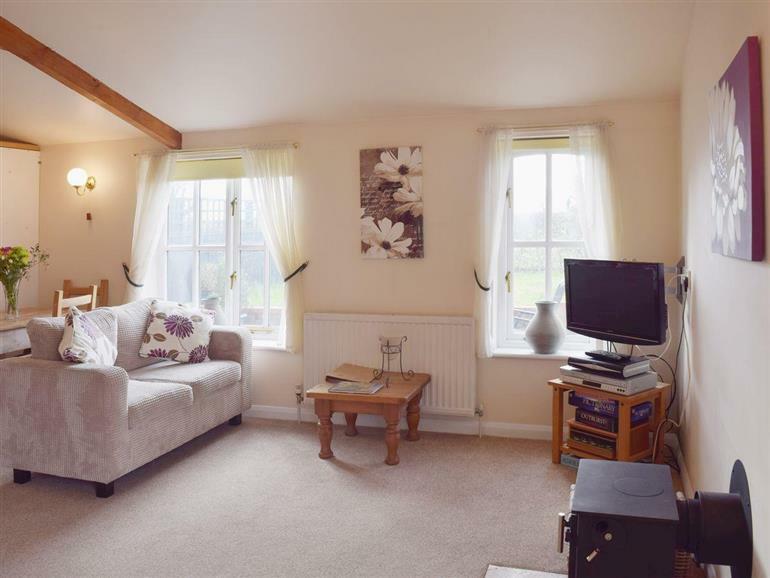 Blueberry Cottage in Debenham, near Framlingham sleeps 5 people. Blueberry Cottage near Framlingham is a semi-detached cottage which comes fully equipped with a wood burner in the living room, and a private hot tub. Surrounded by the undulating Suffolk hills, this is a truly special property. The open-plan living area boasts a warm and snug environment which makes for a great social space. The master bedroom comes with an en-suite toilet, and the twin room has an additional pull-out bed, so there’s room for the whole family. With the property all on one level, it’s ideal for wheelchair access too. As well as enjoying your own privacy, with a private entrance, garden and patio area, guests can also take full advantage of the farm’s features, like visiting the goats, sheep, horses and cattle. The shop, pub and restaurant are 3 miles from Blueberry Cottage near Framlingham. Blueberry Cottage is all on ground floor: Living/dining room/kitchen. 2 bedrooms: 1 double (5ft) with en-suite toilet, 1 twin with additional pull-out single. Wet room with toilet. Wood burner in living room (initial fuel included). Oil central heating, electricity, bed linen and towels included. 28 Satellite TV. DVD. CD. Electric cooker. Microwave. Washing machine. Tumble dryer. Freezer. Wi-Fi. Enclosed garden with courtyard, sitting-out area and furniture. Barbecue. Parking (2 cars). Hot tub. Stabling available. No smoking. Holidays at Blueberry Cottage run from Saturday to Saturday. Pets allowed at Blueberry Cottage. For a better idea of where Blueberry Cottage is, you can see Blueberry Cottage on the map below. 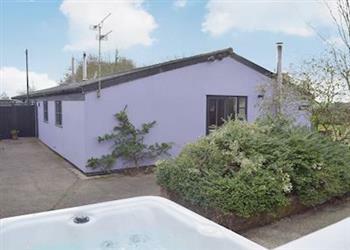 Blueberry Cottage is in Suffolk; should you be on the lookout for a special offer, you can find all the special offers in Suffolk. It's always worth checking to see what is on offer at the moment. Do you want to holiday near Blueberry Cottage (W44357), you can see other cottages within 25 miles of Blueberry Cottage; have a look to find your perfect holiday location.